Reach Out and Read volunteer Kathy Callery shares a new book with 2-year-old Paisley Dempsey, Youngstown. Throughout the Mahoning Valley, children are boosting their vocabulary and reading skills thanks to a critical literacy development program. Reach Out and Read is a national program dedicated to promoting early literacy and school readiness in children ages 6 months to 5 years. Reach Out and Read focuses on helping children grow by incorporating books into children’s healthcare, and educating families on the importance of reading aloud together to support literacy development. Akron Children’s Hospital is among 5,000 program sites around the country. PNC Foundation supported the program for the fourth consecutive year; this year with a $4,000 grant to Akron Children’s Hospital Mahoning Valley. The grant will allow the hospital to purchase an estimated 2,000 books this year. PNC Foundation has contributed nearly $15,000 toward this program since 2015. 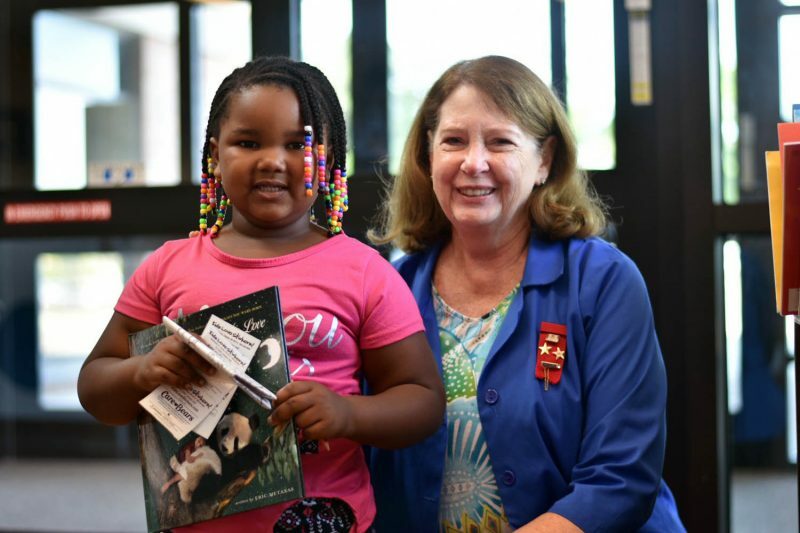 Through the program, pediatricians and pediatric nurses give out new books to children and their parents during visits. They also educate and make suggestions to parents on how to help children foster a love of books and reading. Volunteer Kathy read with 4-year-old patient, Lyasia, too. Since 2007, almost 74,000 books have been distributed through the Reach Out and Read program at 23 Akron Children’s sites throughout northeast Ohio. The PNC Foundation grant was provided under the PNC Grow Up Great® initiative, which focuses on supporting educational programs that help children from birth to age five. Since 2004, the initiative has assisted more than 4 million children. 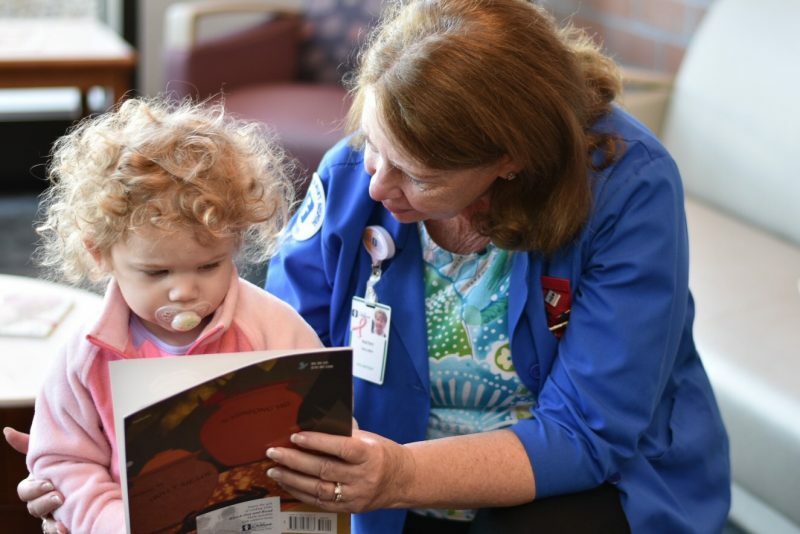 Akron Children’s also receives books through a partnership with Delta Dental. In addition to physicians, volunteers in the Teen Outreach program along with adult readers help distribute these books on a weekly basis. To learn more about Reach Out and Read, visit www.reachoutandread.org. For more information about how you can become a Reach Out and Read volunteer, click here.